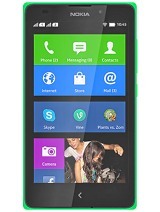 confused should i buy nokia xl....or canvas doodle 3...which ones better??? Hello Guys let me help u all out. U can download nearly every android app on this phone. How? Let me show you. 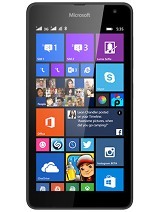 Download 1mobile market from nokia store and download mostly every app including whatsapp on this phone. Most apps are available in nokia market otherwise 1mobile market is there to overcome this deficiency. Now to change its interface that is of windows(type) ofcourse, download golauncher on ur phone and run it. Its interface will change to typical android interface. 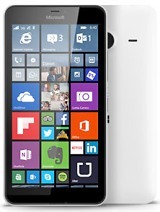 Now about the phone, battery is excellent, cam is good(in this price), touch is excellent, no laggings nothing. I am a phone maniac, nearly used every phone of apple, samsung, lg, nokia, sony & moto. 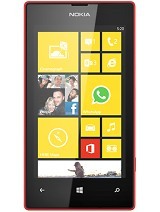 So in my opinion go for this mobile becz no other phones are as better then this one IN THIS RANGE. This is the 1st phone that is launched with this type of OS so be patient i u purchased it already as u will learn it qualities slowly and if u want ur issues to be solve atonce then m here to help u all. Is google play store is available in this phone? or as third party store? 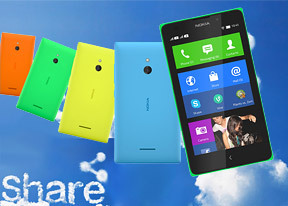 Anonymous, 24 May 2014can nokia xl upgraable in 4.4 kitkatNo. Because it uses a customized version of android. Aaditya Jain, 23 May 2014There is no issue with Whats aap working in nokia xl.I m using in my phonecan you please guide me? how whats app is working in this phone? it's available in Nokia store? ppi.... is very low .